Today I wanted to share with you guys how I store some of my stockpile from couponing. I mostly focus on household items like laundry detergent, toilet paper, and beauty products. Those have the longest shelf life and I don't feel rushed to use things up immediately. So let me show you around a couple of areas in my apartment where my stockpile lives. Our hall closet houses the majority of my stockpile. 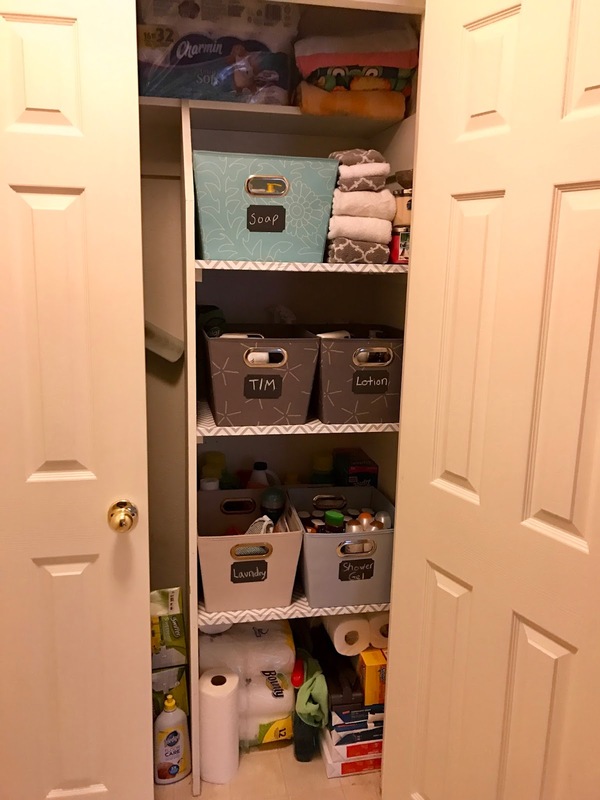 In this closet I have my paper products; including my toilet paper, paper towels and tissues. I have reams of printer paper I picked up from Staples awhile back down on the bottom. In the bins I keep full sized shower gels, full sized lotions, extra items for Tim (any guy items) and laundry items I am currently using. Behind them I have extra cleaning products and extra laundry detergent. I also keep quite a few items in my Alex 9 Drawer Unit. 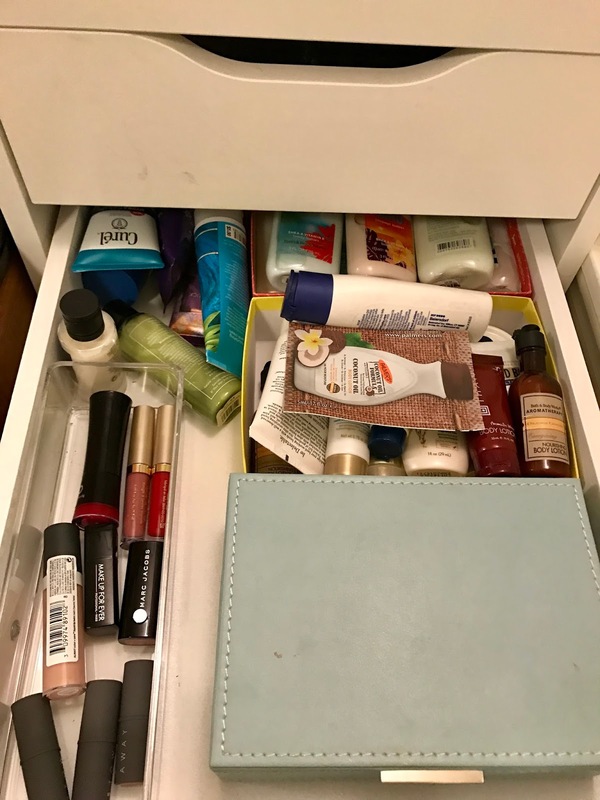 This drawer holds my lip products mostly (my chapsticks are hidden in the blue box) but in the back I keep all my mini lotions. As you can see I have a ton shoved in there and keep bringing in more! This drawer is pretty much a disaster but holds shampoo, conditioner and all the other hair products. 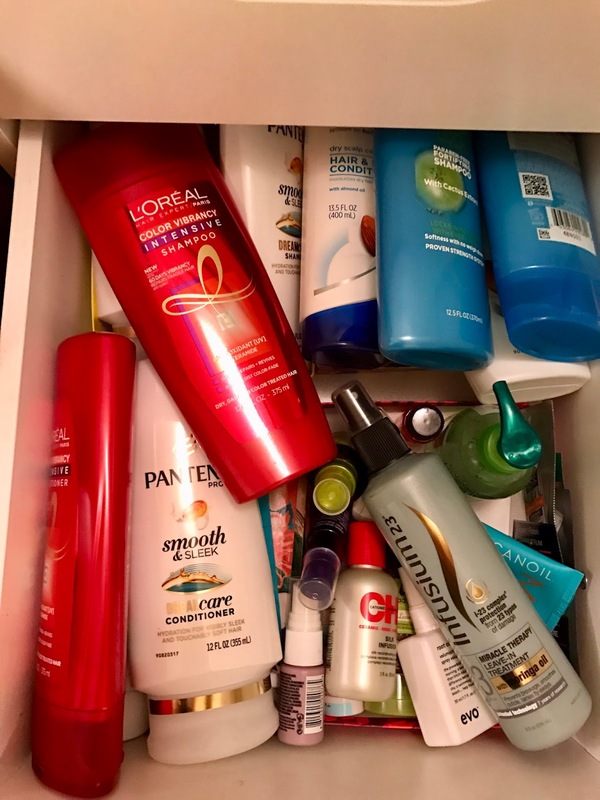 I love when we get cheap shampoo and conditioner because neither of us are super picky about what we use in our hair so we both will try pretty much anything! Those are just a few places I store my couponing stockpile. Someday I hope to have a stockpile room or some sort of shelving that I can hold all of my items on. 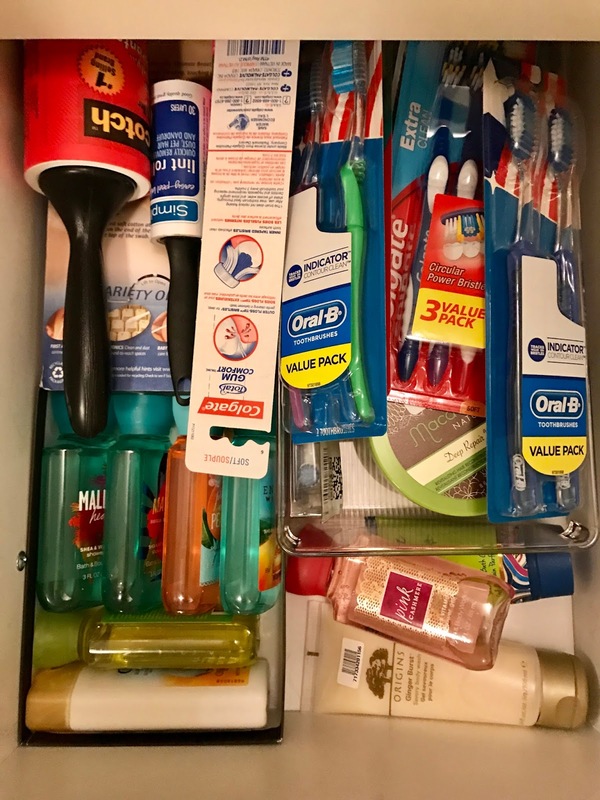 For now however there is no room for that in our apartment so I will keep shoving my stockpile into every nook and cranny! At some point I'll share my entire stockpile but for now I hope you enjoy this sneak peek!